The first Deadpool film is one of the greatest superhero films ever. It struck an incredible balance between action, comedy, and telling a compelling story. Because of this my expectations were very high for Deadpool 2, a direct sequel to Deadpool that stars Ryan Reynolds, Josh Brolin and Julian Dennison. While I went in expecting to be slightly disappointed with this film, after seeing it I can say that this film is at least as good as the first, if not better. What makes this movie so great is that it did not feel like a shallow cash grab by 20th Century Fox, but instead like an expansion on the first movie. There are no major characters from the first film who do not appear in the second (other than the villains), and the relationships built in the first film carry over into this one. But while Deadpool 2 has many aspects that carry over from the first film, this does not prevent it from forging its own identity and plot. There are many new characters who are introduced in this film, and while they are all entertaining in their own right, there are a few especially great characters, such as the supernaturally lucky Domino, the time-traveling Cable, or the powerless but enthusiastic Peter. The plot is entertaining; it takes a few unexpected twists and turns along the way and manages to raise the stakes while not darkening the atmosphere too much. However, the plot does take somewhat of a backseat to the comedy and action of the film. The action scenes are great; they are fast paced and varied, and with the variety of mutant powers seen in the films, the fight scenes end up taking odd directions. The one fallback to the fight scenes is that the CGI does not always look very convincing, but this issue only really arises in one or two scenes. The comedy is a bit odd. There are tons of inside jokes and references throughout the movie, however none of them are particularly esoteric, so don’t feel as if you have to have some deep knowledge of Marvel comics to enjoy this movie. However, while I found it a highlight, the humor could put off some viewers who are more interested in the action scenes of the film. However, as long as you accept the film will not be too serious, you will enjoy it. 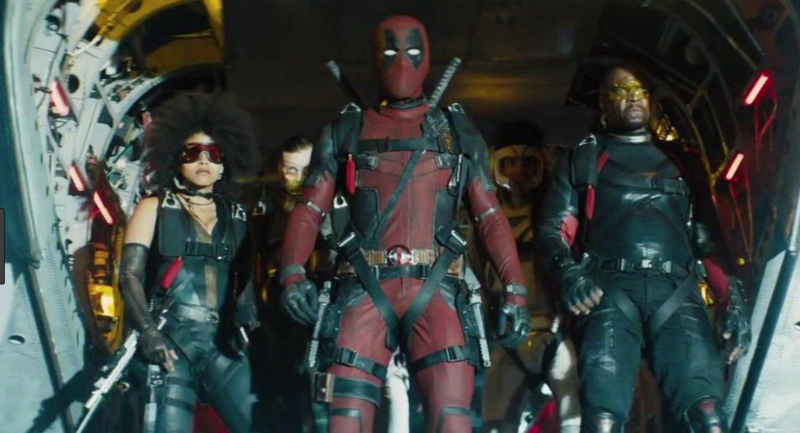 Deadpool 2 is a cynical, funny, action packed ride that will keep you engaged from start to finish. While it may occasionally falter, it is an excellent film overall, and one I recommend to anyone who enjoyed the original.